Style is more important than giving these objects an excuse for being. Enjoy my drop shadow. "Style is knowing who you are, what you want to say, and not giving a damn." Nu Paintings are not about networked culture, not about the (im)materiality of image objects, not about the market, not about the gesture. These are paintings that have not been touched by the artist. These are surfaces with varied arrangements of sublimated color. These are non-figurative surfaces for the home, the office and the institution. Intense and interchangeable photo wallpapers back the work up. A hundred years from now, one will be able to see the work for what it is. Unclouded by excess knowledge of current methods of image production. When there is no novelty, an essence will shine through. All old things are beautiful. Nu Painting is an unoriginal concept. Digital paintings, nostalgic/ironic, finding the limitations of imitative software, circulated online: ugly, but knowing. Poster Company and PaintFX could be mentioned, since I ripped them off. Tobias Madison did it too, she says in a slightly accusatory tone and I'm like 'lol yah i know'. The difference is that mine are printed bigger and I'm better at it 'cos I'm better at painting. I'm dead serious and I'm putting my heart into it. My mood is darker and more sombre. I'm a bad boy. I'm the Edgar Allan Poe of digital painting. Painting is declared dead at least once a decade. Nu Painting is to painting what chess is to war. No casualties. The key is to think seven moves ahead. Clean aerial visions instead of freezing panicked nights in the trenches. Post-brushstroke painting. Post-studio painting. Post-paint painting. 1. "Beauty is truth, truth beauty,-that is all." 2. "Relax, it's just a game." Jaakko Pallasvuo graduated from the Finnish Academy Of Fine Arts in 2011. 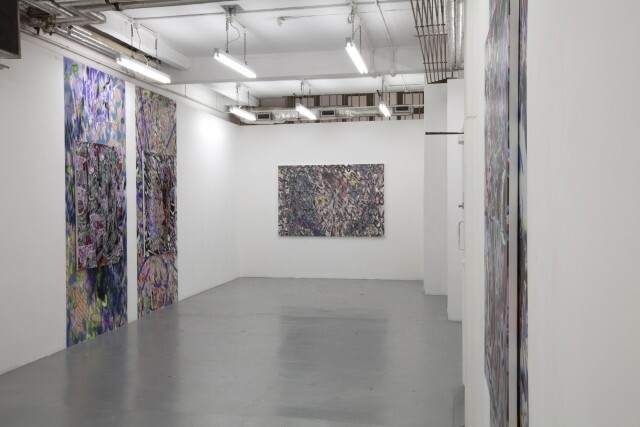 Recent solo exhibitions include Icarus at Forum Box (Helsinki, 2013), Nu Painting at Future Gallery (Berlin, 2013), How to/internet at AMOA- Arthouse (Austin, Texas, 2012) and New Sincerity at Beach London (2011). Pallasvuo's work has been exhibited internationally at venues such as Kiasma Museum Of Contemporary Art, Helsinki, Higher Pictures, New York, Thalia Hall, Chicago and Saamlung, Hong Kong. Pallasvuo lives and works in Berlin.